In today’s world of never-ending content creation, we are constantly presented with information overload. With so much information available, it can feel draining to wade through seemingly endless text just to find key takeaways. To help readers identify the most important pieces of information, content creators can enlist the help of an infographic. 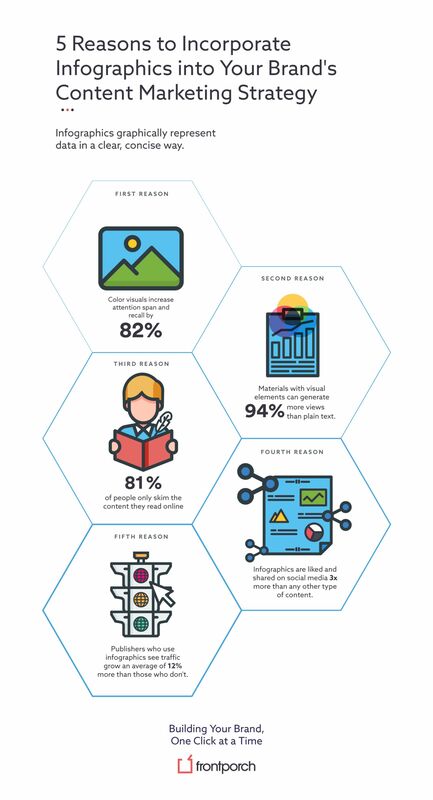 An infographic uses visual elements such as charts and images to graphically represent the most important data in a concise and eye-catching way. Interested in sprucing up some of your best content? Consider these five benefits to using infographics in content marketing, or reference this example to help you get started. Incorporate infographics into your brand’s content marketing strategy to improve your writing with the following benefits. In a sea of content, well-made infographics are eye-catching. Their colorful imagery stands out and aids in drawing viewers’ attention. After all, humans are very ‘visually wired’ and research states that color visuals increase readers’ attention spans and recall by 82%. In short, adding an infographic will not only help your audience remember what you said, but they’ll also be more likely to remember your brand. They are also easier to share. One of the greatest things about infographics is that they’re easily shareable. Users can easily embed infographics in blogs or websites, automatically linking back to the creator’s site. Always try your best to create an exceptionally appealing infographic – you never know who may admire your work and share it! Due to infographics’ visually-appealing and shareable nature, the opportunity to boost your brand’s awareness is much more attainable than with plain text. In fact, materials with visual elements can generate 94% more views than those without visuals. To increase brand awareness through an infographic, be sure to consistently incorporate your logo and overall brand into the design. A well-branded infographic will create a memorable image of your brand for your audience, boosting brand awareness. Published infographics can appear in the “images” search results, further benefiting your brand’s SEO. In addition to search results, they can add to your overall authority with tags and even link-building opportunities. Looking to further demonstrate your extensive knowledge on a certain topic? Incorporate an infographic into your content to really show readers you know your stuff. Being able to simplify complex information in an easily understandable manner is a classic way to show off what you know. The amount of research that goes into creating these visuals will also increase your credibility, too. 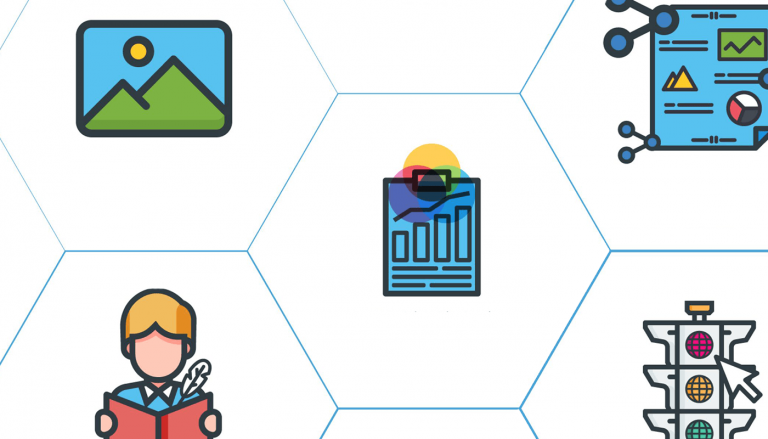 Still stumped on incorporating infographics into your content marketing strategy? Leave it to the experts at Front Porch Solutions to help you create something great! Get in touch with our team to begin discussing your new and improved strategy.